Professor and Director of a Clinical Neuroscience oriented Section of the Lund Department of Clinical Sciences, Medical Faculty, Lund University. Consultant psychiatrist, Division of Psychiatry, University Hospitals, Lund. Graduated from Medical School, Karolinska Institutet, Stockholm 1971. Resident in psychiatry, Karolinska Hospital, Stockholm, 1974-1979. Head of Solna psychiatry, Karolinska, 1984-1986. Head of the Suicide Prevention Clinic, Lund 1986 – 1995. Consultant psychiatrist, Division of Psychiatry, Lund and member of the board. Vice president and president, Swedish Psychiatry until 1999 – 2003. Member of the Advisory Board for developments of psychiatry, Halland County, Sweden. PhD-student, Department of Psychiatry, Karolinska Hospital and Institute 1974-1980 (Supervisor: Professor Marie Åsberg). Research fellow, Department of Psychiatry, University of Michigan, 1982-1983. Associate professor, Wayne State University, Michigan, 1983-1984. Researcher of the Swedish Medical Research Council, Karolinska Institute and Lund University 1986-1992. Professor of Psychiatry, Lund University, 1992. Head, Clinical Neuroscience, Lund University until 2010. Peter Nordström, the Karolinska Institute: “Survival analytic studies of suicide risk”, 1995. Anne Gräsbeck, Lund University: “The epidemiology of anxiety and depressive syndromes. A prospective longitudinal study of a geographically defined, total population: The Lundby Study”, 1996. Gunnar Engström, Lund University: “Temperamental diagnostics and biochemistry in suicide attempters”, 1997. Åsa Westrin, Lund University: “Stress-related peptides in suicide attempters”, 1999. Louise Bayard-Burfield, Lund University: “Migration and Mental Health”, 1999. Ulla-Magne Ingvar, Lund University: “Persons who attempt suicide – social characteristics, social network and significant others”, 1999. Louise Brådvik, Lund University: “Suicide in Severe Depression”, 2000. Anders Niméus, Lund University: “Suicide attempters – drug overdose patterns and ratings of suicidality”, 2000. Baba Pendse, Lund University: “Winter depression and light therapy”, 2004. Daniel Lindqvist, Lund University “Suicidal Intent, HPA-axis and the immune-system”, (co-supervisor) 2010. Fredrik Vang, “Suicidal behabiour, temperament and the brain”, 2010. Formal suspervisor (together with Associate prof. Anders Tingström, Molecular Psychiatry Unit, MPU). Three times, the Karolinska Institute, Stockholm. 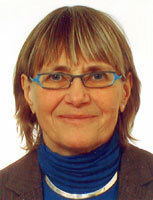 Anna-Maria Falus, National Institute for Nervous and Mental Health, Budapest, Hungary. Alvydas Navickas, Department of Psychiatry, Vilnius University, Lithuania. Weihua Ji, Department of Psychiatry, University of Nanking, China. Co-editor, Archives of Suicide Research until 2005. Psychiatry Committee of the Swedish Medical Research Council: 1994-1998. The Mental Health Program of the Norwegian Research Council: member of Executive Board, 1994-2000. The Swedish Psychiatric Association (vice president 1999-2001; president 2001-2003). The Swedish Society for Biological Psychiatry (chairman 1994-1996). The Swedish Medical Research Council Advisory Board for Suicidology Research. The Swedish Committee for Prevention and Treatment of Depression (Board – until 2004). The Scandinavian Society for Psychopharmacology (SCNP). European College of Neuropsychopharmacology (ECNP). International Academy for Suicide Research (IASR); former member of the Executive Committee). The Swedish Council on Technology Assessment in Health Care (SBU), (member of the council, 1999-2003). The Medical Products Agency of Sweden (member of the council 2002-4). Träskman-Bendz L, Westling S. The psychobiology of aggressive behaviour. Adv Health Econ Health Serv Res, 16:3-14, 2005. Sher L, Mann J, Traskman-Bendz L, Winchel R, Yung-yu H, Stanley BH: Lower cerebrospinal fluid homovanillic acid levels in depressed suicide attempters. Niméus A, Hjalmarsson Ståhlfors F, Sunnqvist C, Stanley B, Träskman-Bendz L: Evaluation of a modified interview version and of a self-rating version of the Suicide Assessment Scale. Holmstrand C, Niméus A, Träskman-Bendz L. Risk factors of future suicide in suicide attempters – a comparison between suicides and matched survivors. Ryding E, Ahnlide J-A, Lindström M, Rosén I, Träskman-Bendz L: Regional brain serotonin and dopamine transporter binding capacity in suicide attempters relates to impulsiveness and mental energy. Brundin L, Petersén Å, Björkqvist M, Träskman-Bendz L: Reduced orexin levels in the cerebropsinal fluid of suicidal patients with major depressive disorder. Brundin L, Petersén Å, Björkqvist M, Träskman-Bendz L: Orexin and psychiatric symptoms in suicide attempters. Holmstrand C, Engström G, Träskman-Bendz L: Disentangling dysthymia from major depressive disorder in suicide attempters. Suicidality, comorbidity and symptomatology. Brundin L, Björkqvist M, Traskman-Bendz L, Petersen, A. Cocaine and amphetamine regulated transcript (CART) in suicide attempters. Psychiatry Res 58(2): 117 – 122, 2008. Bah J, Lindström M, Westberg L, Mannerås L, Ryding E, Henningsson S, Melke J, Rosén I, Träskman-Bendz L and Eriksson E: Serotonin transporter polymorphism: Effect on serotonin transporter availability in the brain of suicide attempters. Psychiatry Res 162(3): 221 – 229, 2008. Archives of Suicide Research, 12:197-207, 2008. Brundin L, Björkqvist M, Träskman-Bendz L, Petersén Å: Increased orexin levels in the cerebrospinal fluid the first year after a suicide attempt. J Affective Disord 113: 179-182, 2009. Westling S, Ahrén B, Sunnqvist C, Träskman-Bendz L. Altered glucose tolerance in women with deliberate self-harm. Psychoneuroendocrinology 34, 878-883, 2009. Lindqvist D, Janelidze S, Hagell P, Erhardt S, Samuelsson M, Minthon L, Hansson O, Björkqvist M, Träskman-Bendz L, Brundin L. Interleukin-6 I elevated in the cerebrospinal fluid of suicide attempters and related to symptom severity. Biological Psychiatry, 66(3):287-292,2009. Vang FJ, Lindström M, Sunnqvist C, Bah-Rösman J, Johanson A, Träskman-Bendz L. Life-time adversities, reported thirteen hears after a suicide attempt: relationship to outcome, 5HTTLPR gene, and past and present morbidity. Archives of Suicide Research, 13(3):214-29. Johnson PL, Truitt W, Fitz SD,Minick PE, Dietrich A, Sanghani S, Träskman-Bendz L, Goddard AW, Brundin L, Shekhar A. A key role for orexin in panic anxiety. Nat.Med. 16(1): 111-5, 2010. Sunnqvist C, Träskman-Bendz L Care of suicide attempters in a specialized inpatient unit. Advantages and disadvantages. In: Oxford Handbook of Suicidology. Eds: Wasserman D & Wasserman C. Oxford: University Press, 2009. Vang FJ, Lindström MB, Träskman-Bendz L, van Westen D, Ryding E. Size of basal ganglia in suicide attempters, and its association with temperament and serotonin transporter density. Psychiatry Research: Neuroimaging. Accepted. Samuelsson M, Eidevall L, Träskman-Bendz L, Öjehagen A, Jensen R. Unga inneliggande patienter med självdestruktivt beteende. Soc Med Tidskr. Insänt, 2009. Hallberg L, Westrin Å, Isaksson A, Träskman-Bendz L, Brundin L. Decreased aldosterone and renin in the plasma of suicide attempters with major depressive disorder. Psychoneuroendocrinology. Stanley B, Wilson S, Traskman-Bendz L, Yung-Yu Huang , Mann JJ: Suicidal behaviour, borderline personality disorder and CSF monoamine metabolites. Neuropsychopharmacology. Sunnqvist C, Persson U, Westrin Å, Träskman-Bendz L, Lenntorp B. Grasping the dynamics of suicidal behaviour – combining time geographic life charting and COPE ratings. Archives of Suicide Research. Sunnqvist C, Träskman-Bendz L, Westrin Å. Coping strategies used by former and actual suicide attemtpers in comparison with strategies by non-suicidal patients and healthy controls. Westling S, Janelidze S, Ahrén B, Erhardt, S, Minthon L, Samuelsson M, Träskman-Bendz L, Brundin L. Increased interleukin-1beta in patients with self-directed aggressive behaviour.